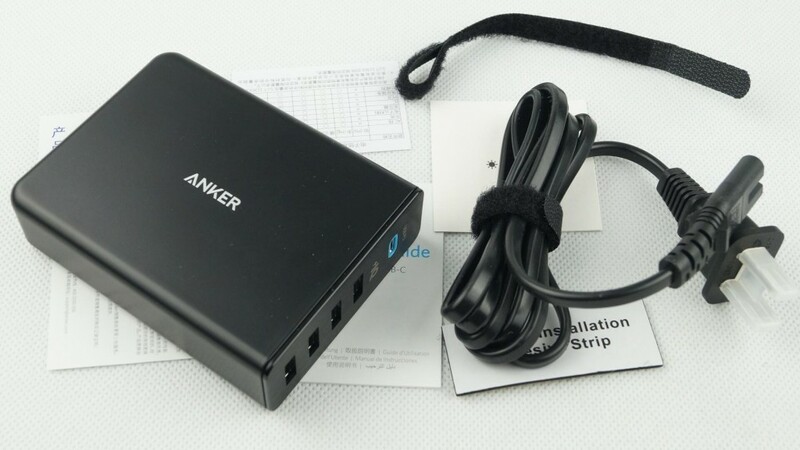 Disassembling Anker’s 5 USB-C Port Power Bank - 网友心声 - 充电头网论坛 - Powered by Discuz! 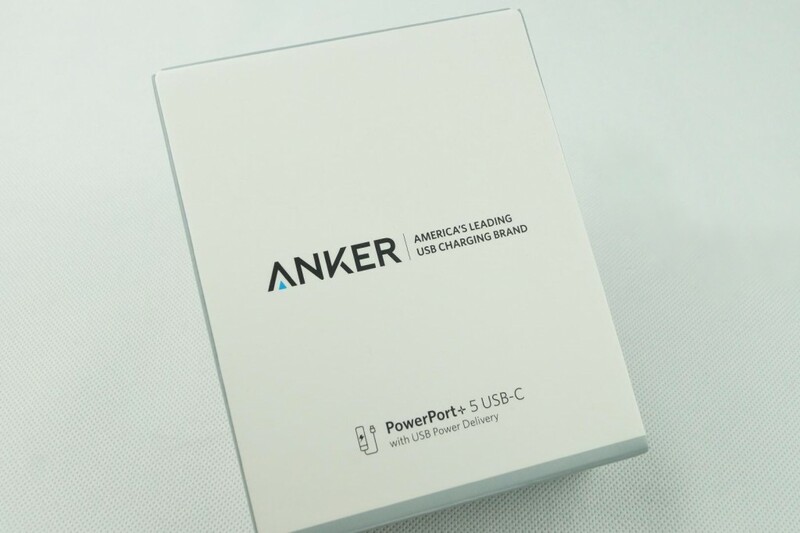 Anker, known as America’s Leading USB Charging Brand, just released a new power bank with not 1, or 2, but 5 USB-C ports! 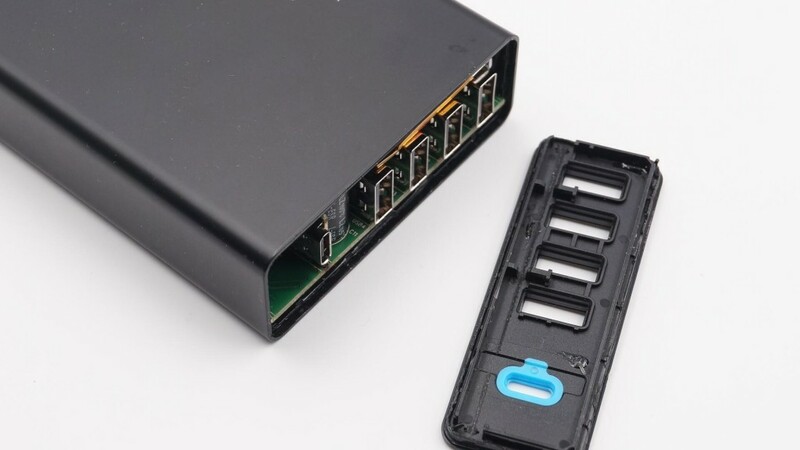 Therefore, we had to get our hands on it and have a look inside. 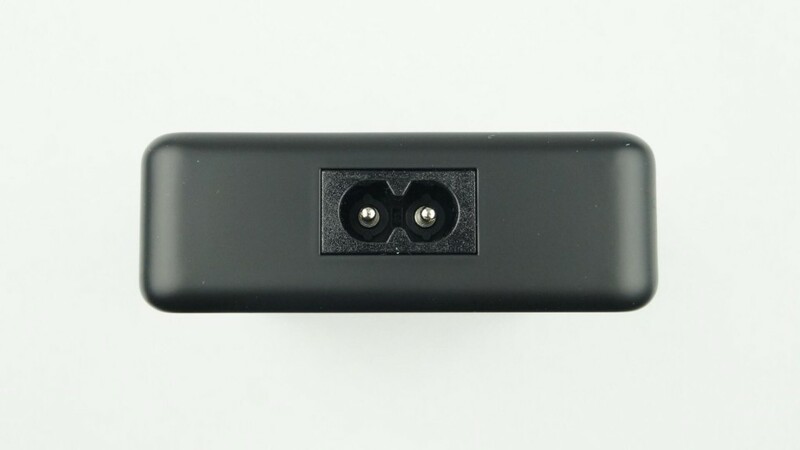 The power port comes with a cable and a cable belt. 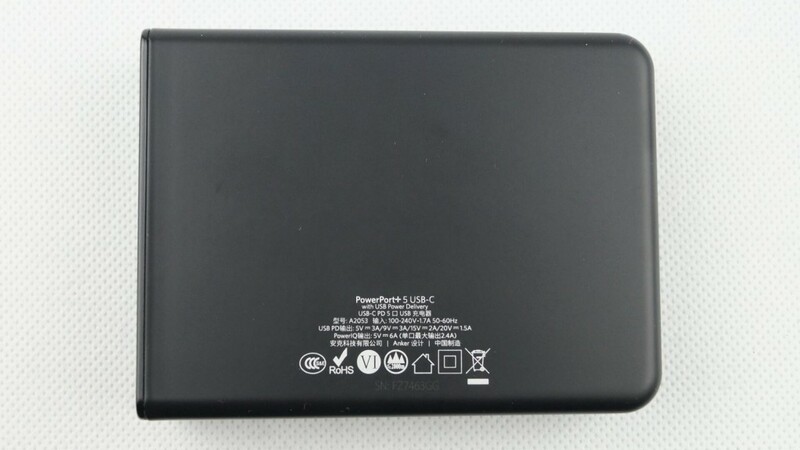 The front and back of the power bank is a simple design. 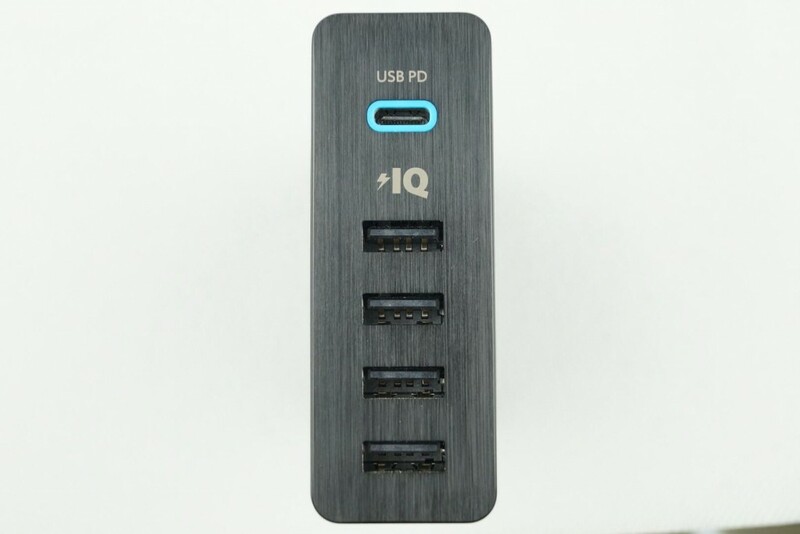 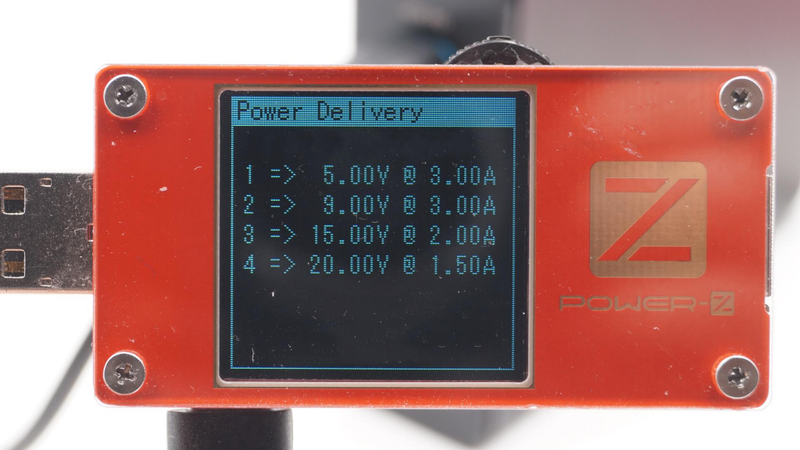 An blue PD port is embedded in an aluminium plate with and is equipped with four power IQ USB ports. 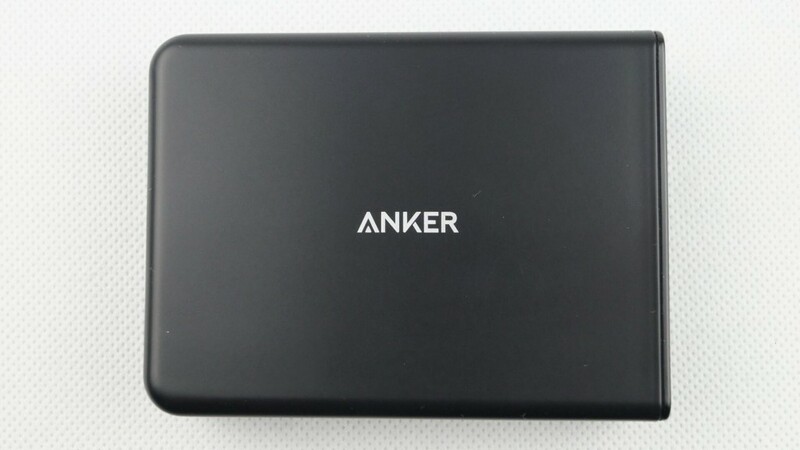 Built with an universal power plug to be the most versatile power bank. 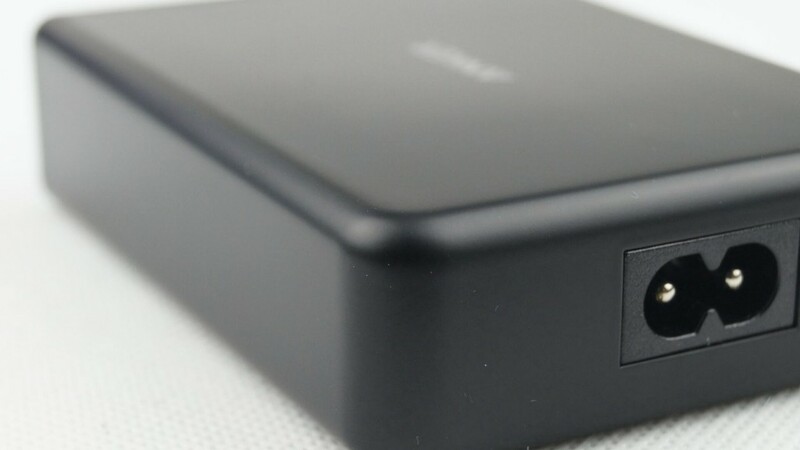 A rectangular power port with rounded corners. 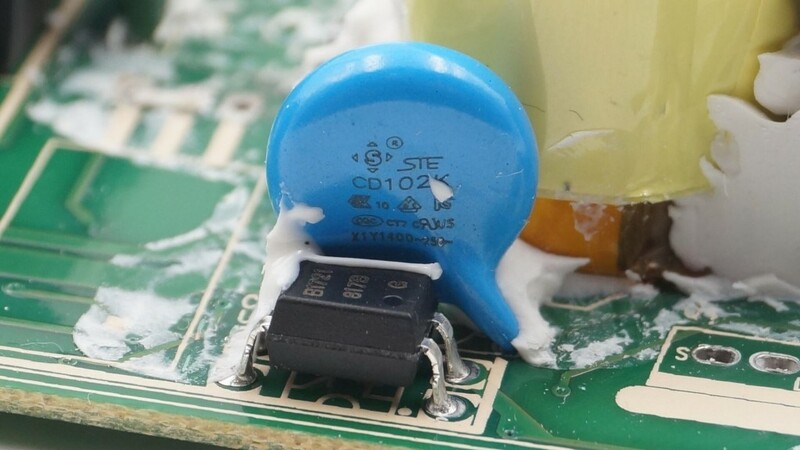 The top cover is being held by an ultrasonic welding, which is easy to open. 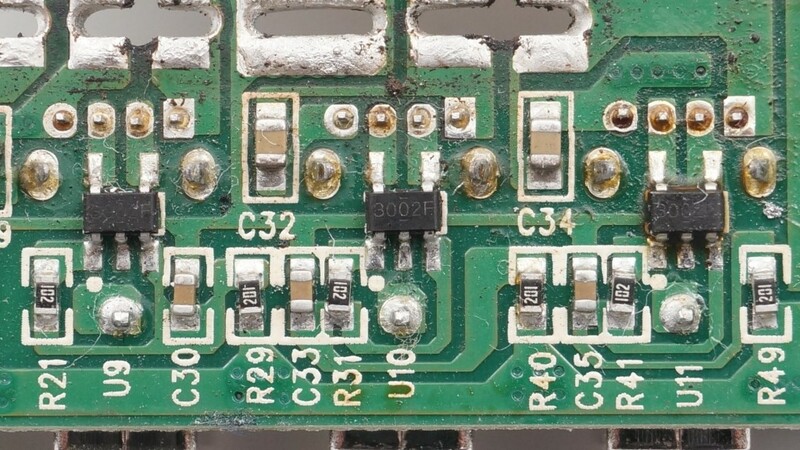 The front and back of the power circuit. 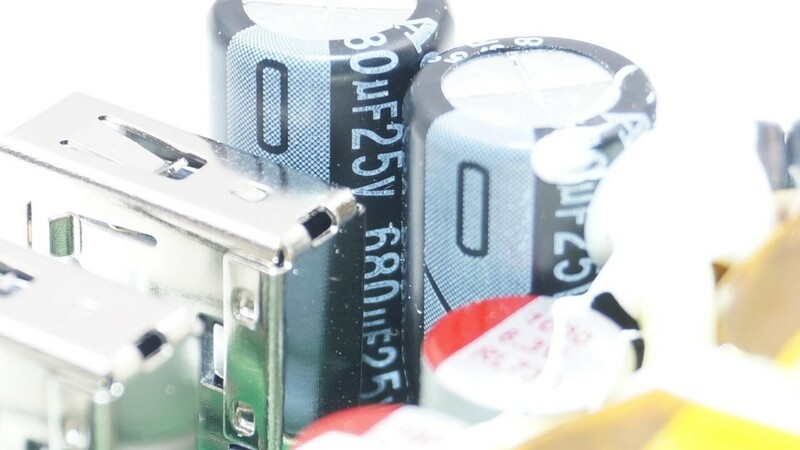 The main voltage protection circuits and EMI circuits. 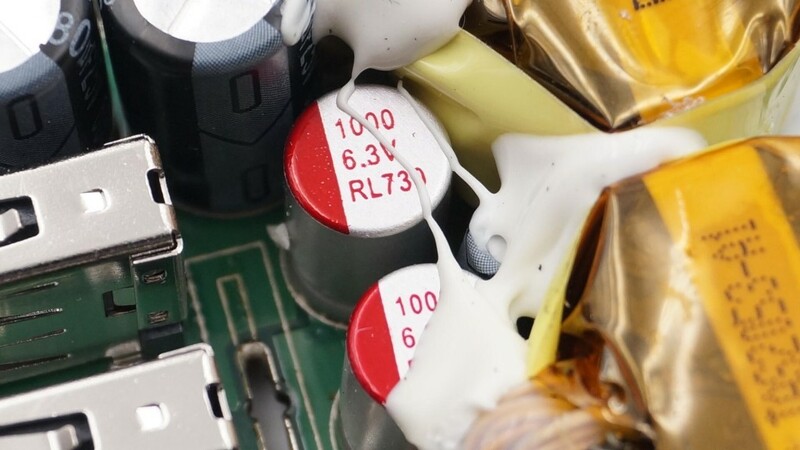 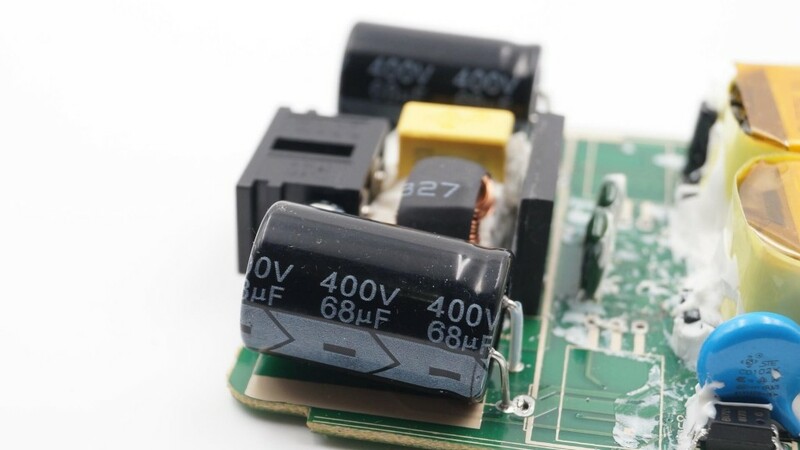 There are two independent circuits for the power supply; both are 400V68. 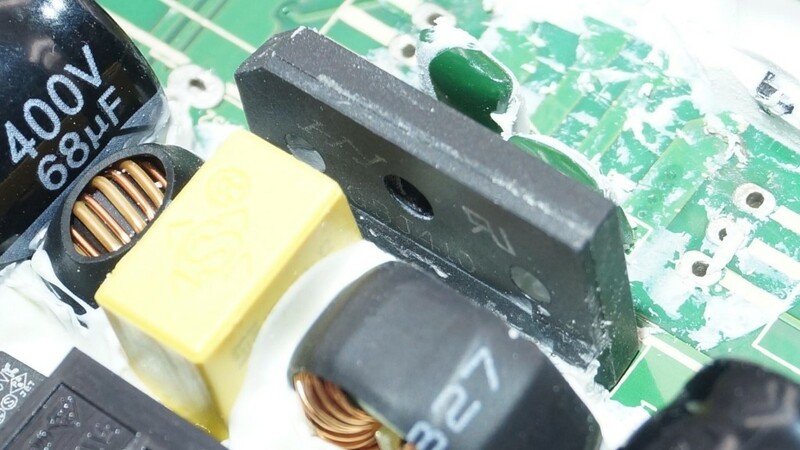 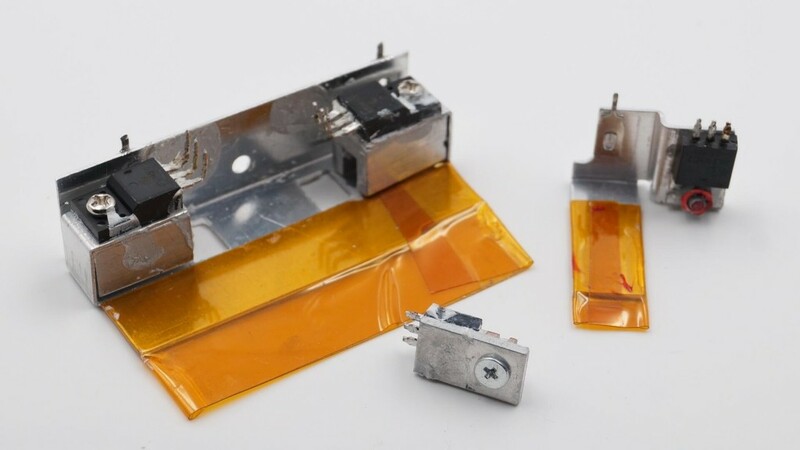 There are two reflective circuits and two anti-interference parallel capacitor plates. 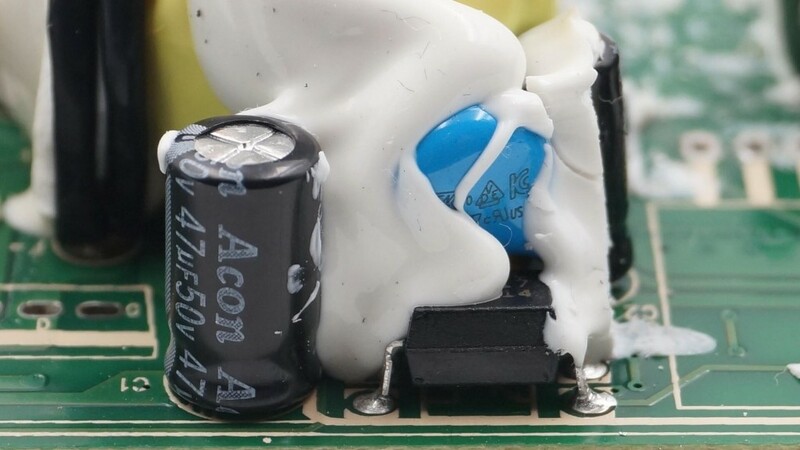 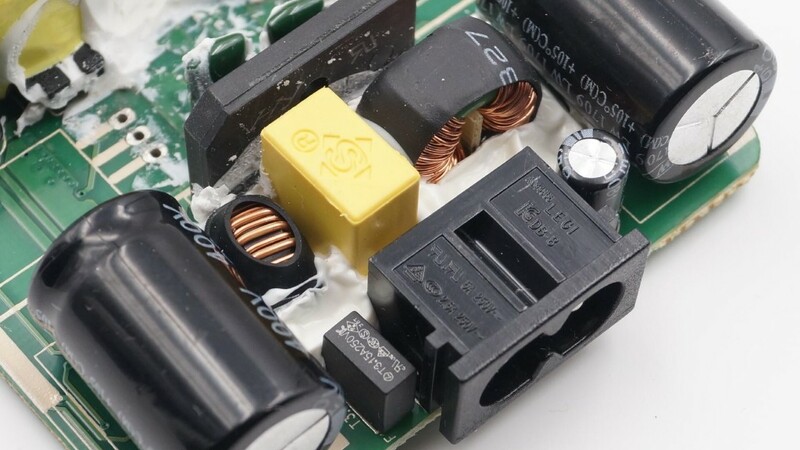 USB Type-C output consists two electrolytic capacitors filter; both are Acon 25V680 microfarads. 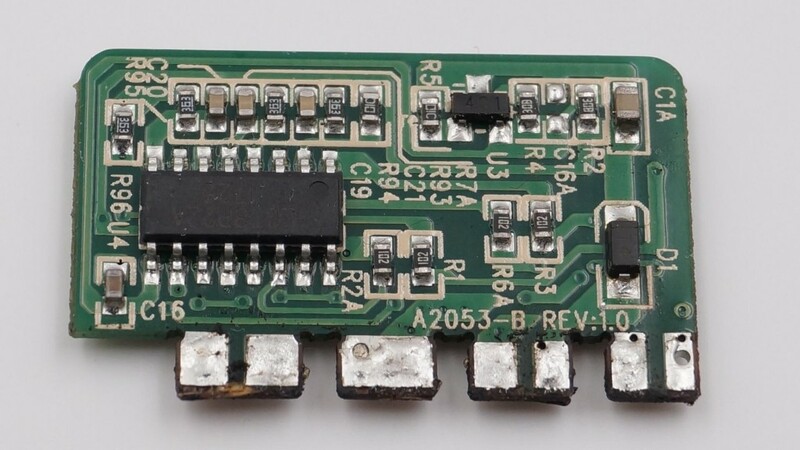 USB interface output filter consists of 2 solid capacitors, 6.3V1000 microfarads. 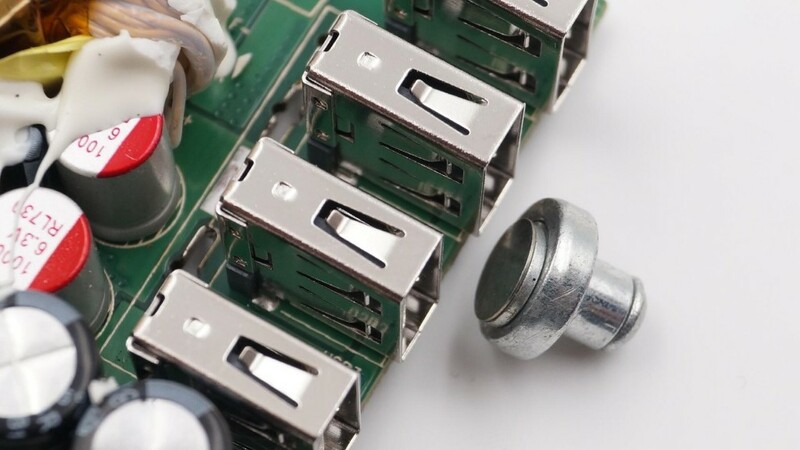 4 USB sockets and the magnetic connector. 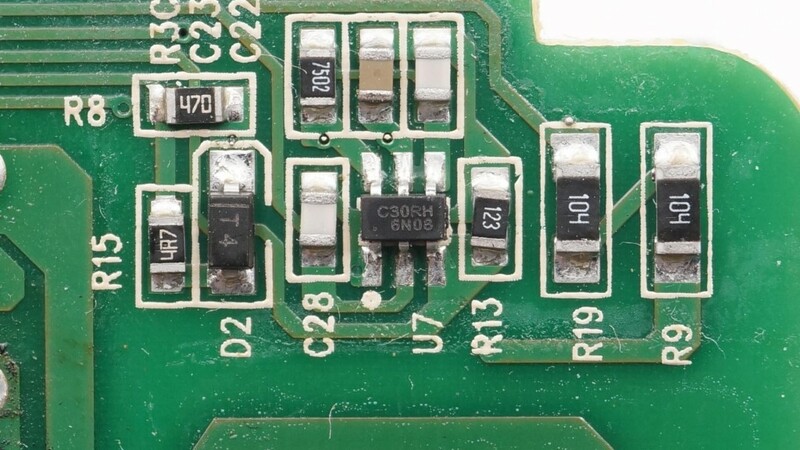 After disassembling the tube, you can see 2 primary PWM MOS and 2 USB synchronous rectifier controllers. 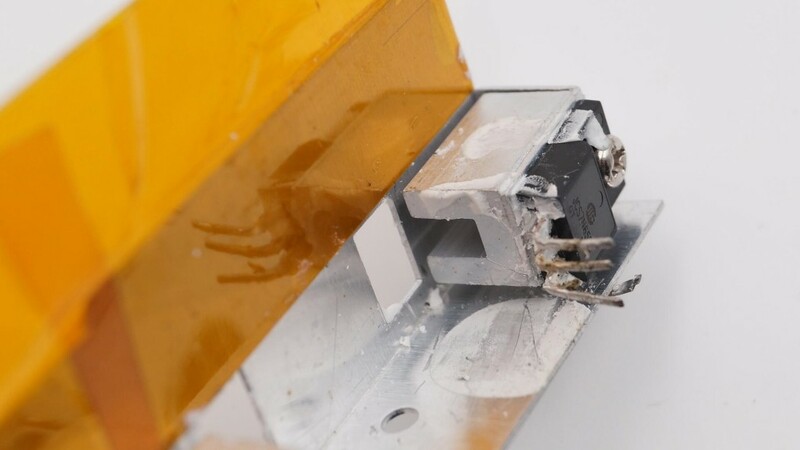 A small aluminium plate is placed on top of the large cooling plate to dissipate the heat further. 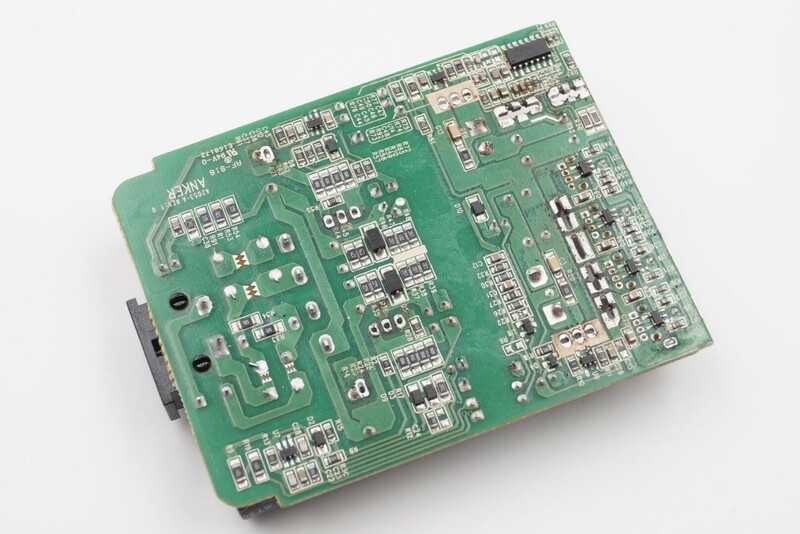 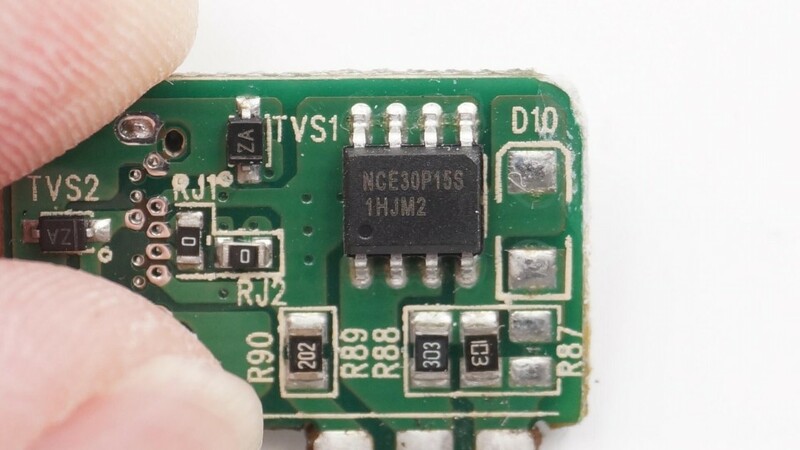 The primary MOS is from Jilin Sino-Microelectronics JCS7N65FB. 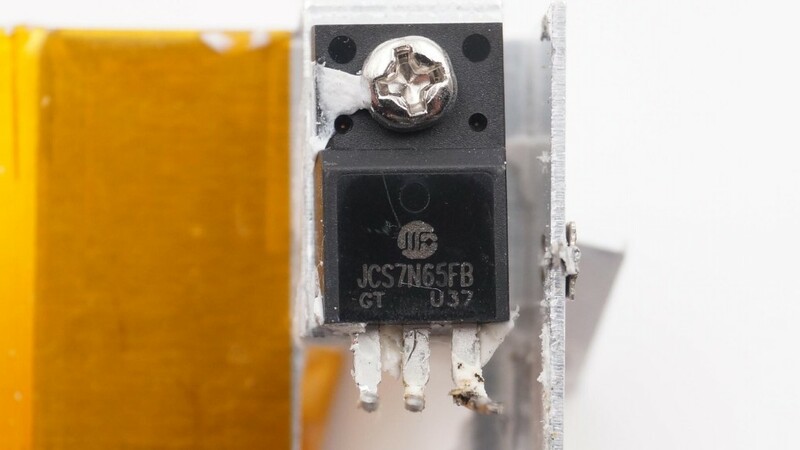 A Taiwan Huang Yang GBJ410 is used as a bridge to link two primary circuits. 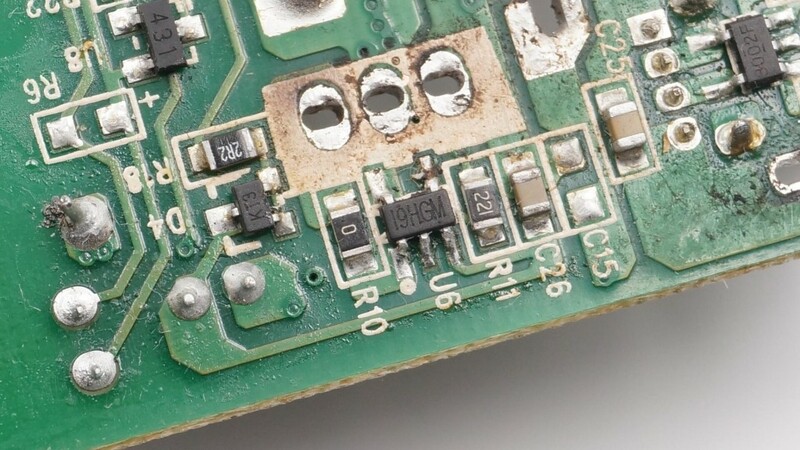 There are 2 secondary PMWs on both sides. 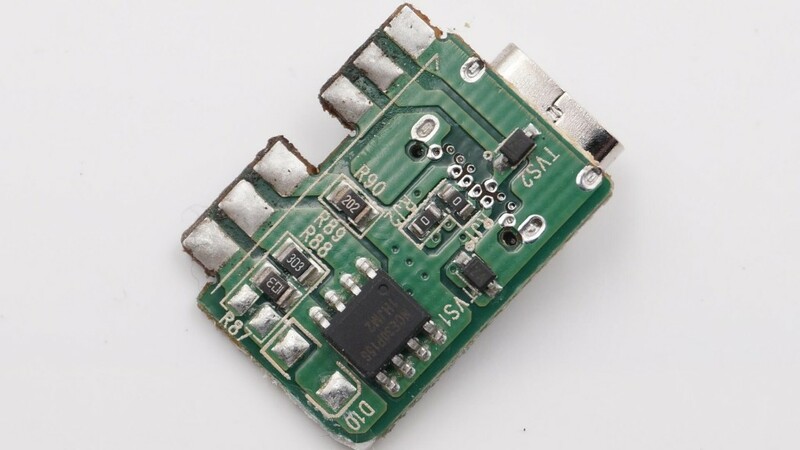 Smart identification USB charger ports cellwise-semi CW3002F. 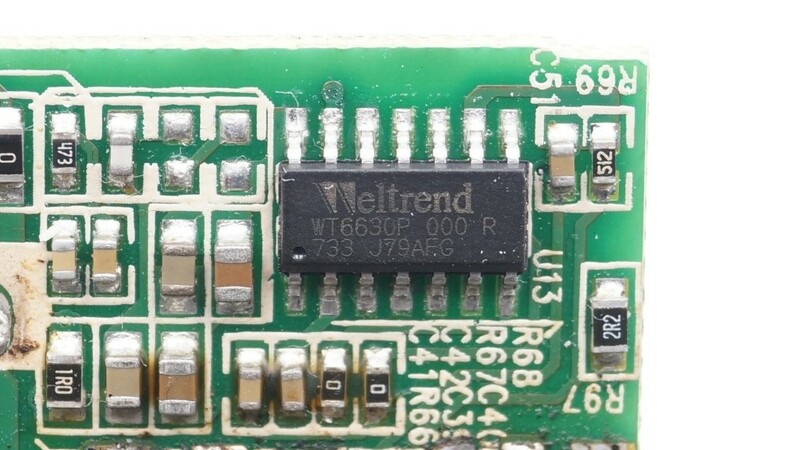 PD Output Controller, Weltrend WT6630P. 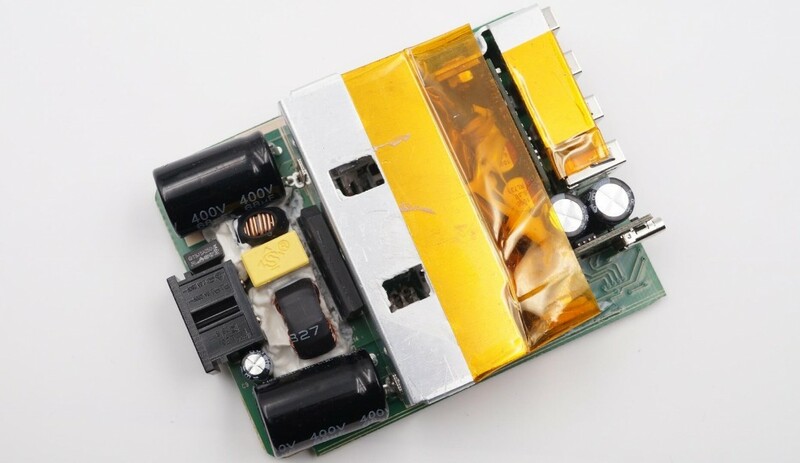 There are two secondary synchronous rectifier controllers and siyin MPS MP6901. 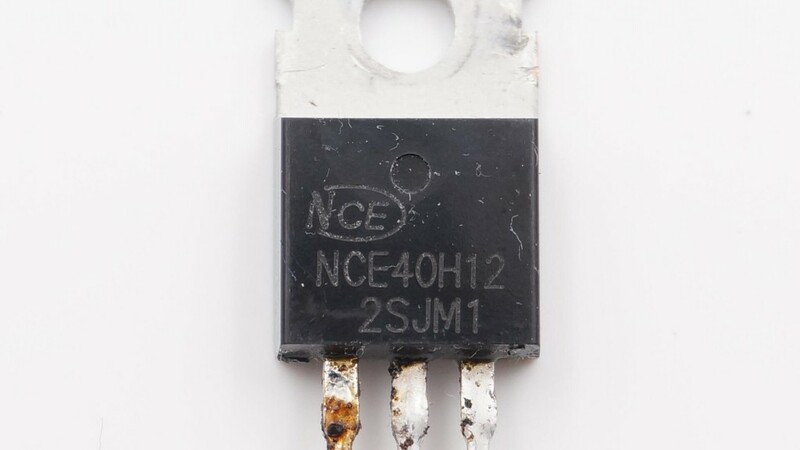 There is PD output synchronous rectification MOS, NCE Power Semiconductor NCE01H10. 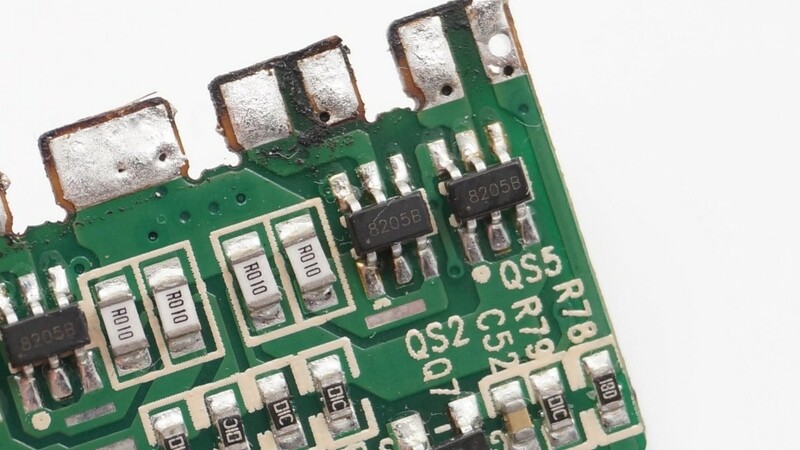 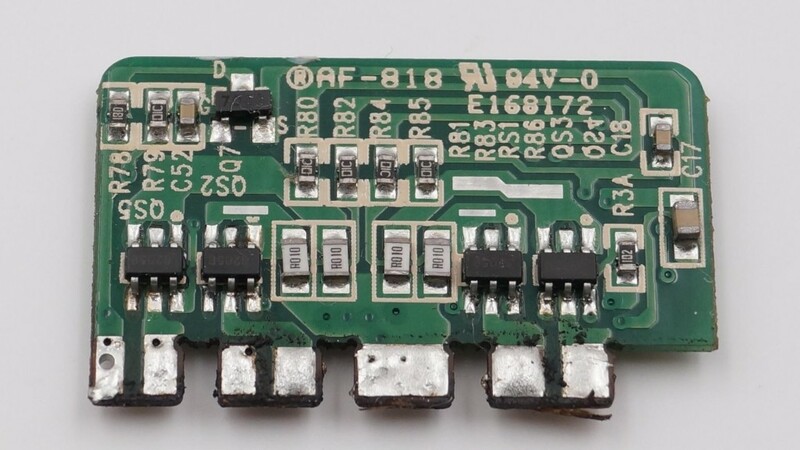 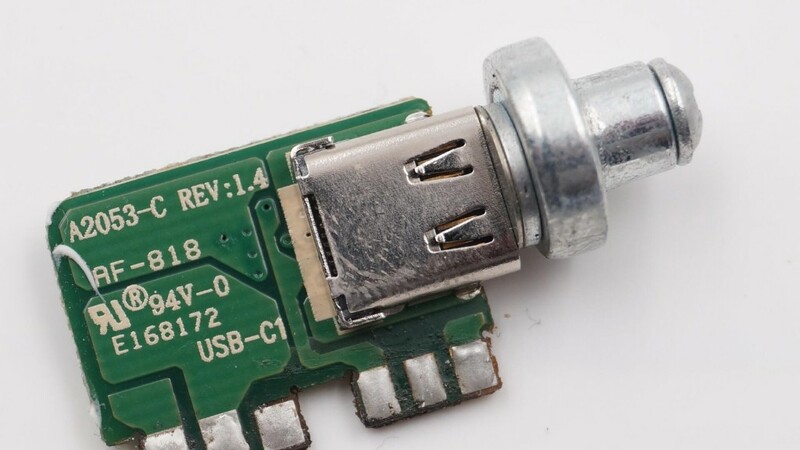 The front and the back of USB charger port protection board. 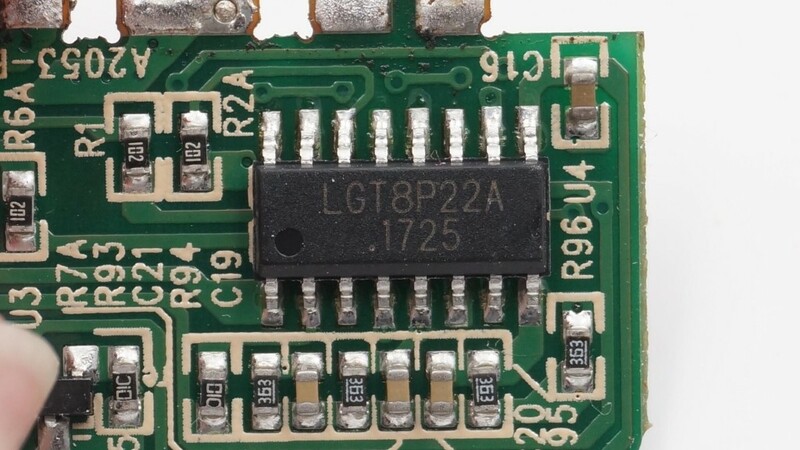 An output protection microcontroller LGT8P22A. 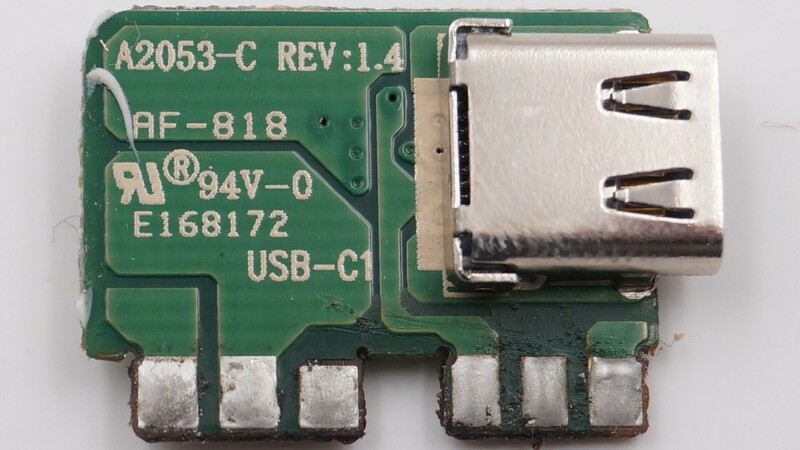 The front and back of the USB Type-C daughterboard. 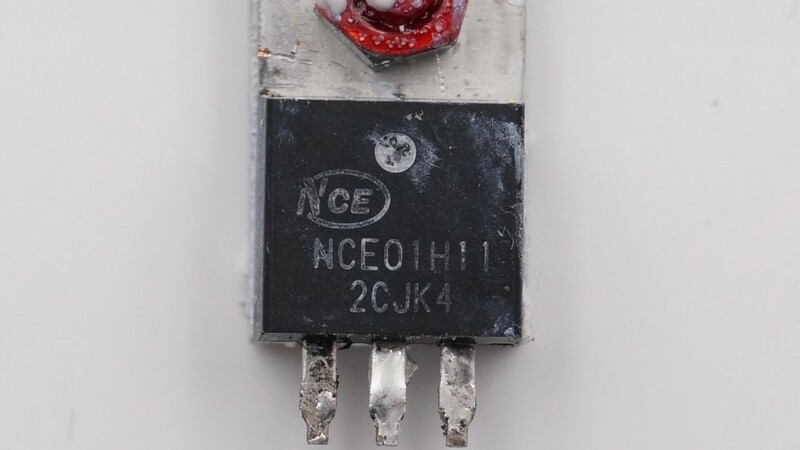 The USB Type-C Output Protection MOS and the NCE Power Semiconductor NCE30P15S. 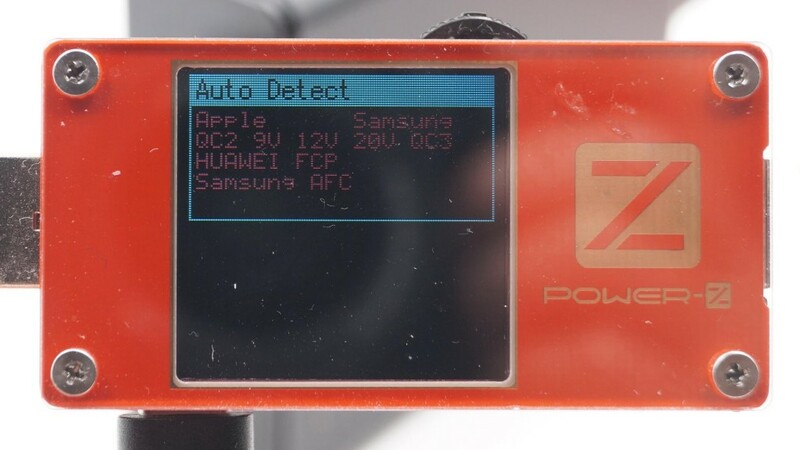 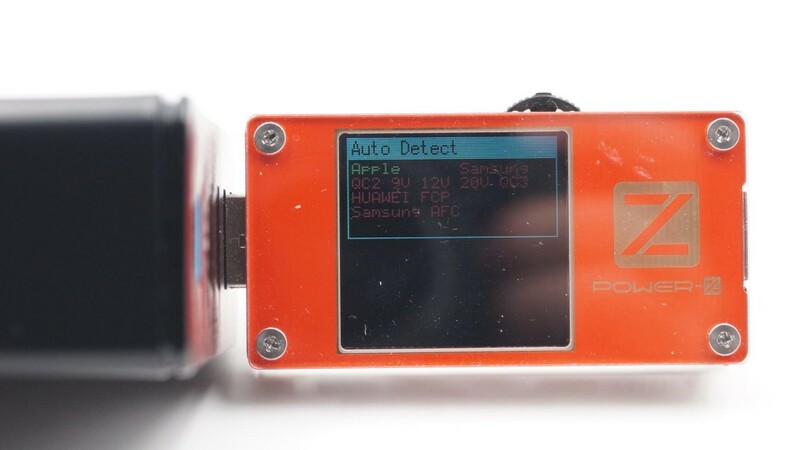 Using the POWER-Z to examine the PD mode of the USB-type C interface, it shows that the maximum current list supported by the PD mode is consistent with the details provided. 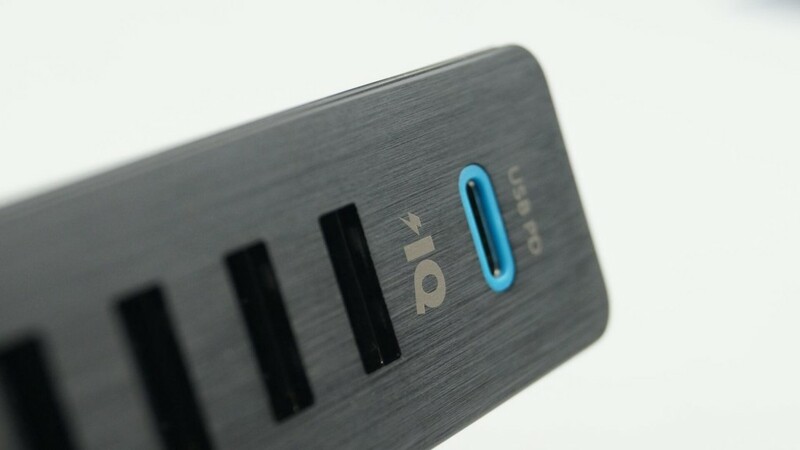 The POWER-Z shows that the USB-type C doesn’t support fast charging.